Hold Still Life is an adventure fit for any occasion. 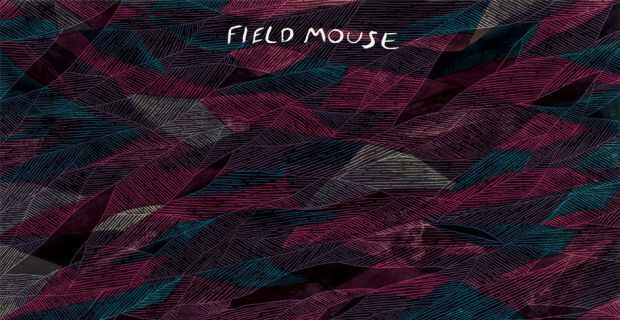 While keeping a steady collective of pop, melody, and charm, Field Mouse’s sophomore LP is able to play with tones in ways that keep songs fresh, all while consistently holding a formula for songwriting, giving each track a vivid feel while providing consistency for the listener. Swerving in and out of fuzz, dynamics, and variability, the one constant throughout the record are the vocals. Front and center, crisp and clear, Field Mouse prose vocals that act as the systematic narrator for the journey of Hold Still Life. Beautiful, soft, and invigorating, not only the vocals themselves, but also the melodies, are one of the easy highlights of the work. After walking away from a listen with the work, I can safely find the melodies throughout the album following right behind. Album opener “A Place You Return To In A Dream,” is the perfect expression of what Hold Still Life can offer. Pounding and reverberating fuzz, allocated rhythms, and vocals and melodies that soar over the fuzz that lay behind them; all these elements work together to make the album’s introduction one of the most memorable experiences of the work. The following track, “Tomorrow Is Yesterday,” provides the same sonic rewards as the introduction, though this time tinged with a higher grunge sensibility than before. Drearier vocals, darker guitars, and the same vocal amplification found before are all present, for the first two tracks marry the advantages of grunge and shoegaze, all while keeping constant airy melodies present in the mix and enjoyment of the song. These themes are found niche-fully fit throughout the work. While each track will provide the listener with similar rewards, there is something beautifully haunting about “Netsuke” that kept me coming back for more over the rest of the album. With a tight groove and ambient guitars to hold the foundation, the vocals create an entirely new level of surrealism. Near the point of a whisper, the melodies act as an instrument themselves, carrying the listener through a sea of sonic allure. If there is anything to take from the twelve-track experience of Hold Still Life, it is that Field Mouse surely know how to write damn good songs. While nothing here is stunningly new or groundbreaking, it is incredibly invigorating and refreshing. From the humming melodies of closer “Water in the Valley,” to the blistering chords of “Asteroid,” every track has true purpose. Combining the sonic themes found all over the album in different ways of expression, every track keeps the work grounded, providing melodies and sounds that will follow the listener as they work through the lush textures of the release.